Kingspan Air-Cell Insulation provides and extensive range of fibre-free, thermo-reflective insulation products. Manufactured by Kingspan Insulation, AirCell Insulation products can be used in wall insulation, floor insulation and roof insulation. 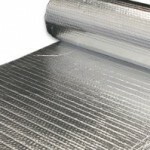 Kingspan Air Cell Glareshield insulation is a thermo-reflective anti-glare insulation product. 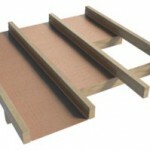 It is designed to combat against both heat gain and heat loss. 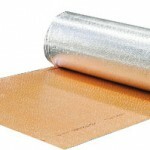 Kingspan Air Cell Glareshield insulation is non-irritant and non-allergenic. It does not possess any of the health and safety concerns associated with most bulk insulation products. Kingspan Air Cell Insulwhite insulation comprises of a cross linked, closed cell insulation core. It has a highly reflective foil face on the outer side and a white face on the exposed side. The core provides greater thermal resistance than traditional air-bubble insulation of identical thickness. It has improved fire safety, complying with all international fire standards. Kingspan Air Cell Insulwhite insulation is designed to provide a protective and corrosive resistance. It is often used in show rooms, retail warehouses and sport centres where a white appearance is desired. Kingspan Air Cell Insulbreak is essentially a 3-in-1 product. 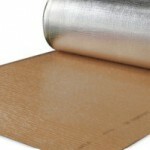 Not only does it serve as insulation but it creates a vapour barrier and also provides a thermal break. Kingspan Air Cell Insulbreak insulation has a patented cross linked, closed cell foam core. It has highly reflective foil faces on both sides. Kingspan Air Cell Insulshed insulation has a patented closed cell foam core and highly reflective foil faces on both sides. It is the perfect shed insulation product. By installing Kingspan Air Cell Insulshed 50 insulation in your shed you will achieve a more comfortable indoor temperature all year round. Kingspan Air Cell Insulshed 50 will make your shed much cooler in the summer and warmer in winter. Kingspan Air-Cell Insulshed 50 insulation is fibre-free, non-irritant and non-allergenic. It does not possess any of the health and safety concerns associated with most bulk insulation products. Kingspan Air Cell Permicav insulation is the ultimate insulation product for cavity walls. It is essentially an all-in-one product possessing superior insulation properties combined with a vapour-permeable membrane. Kingspan Air Cell Permicav insulation is designed specifically for cavity wall insulation in order to reduce the risk of condensation. Kingspan Air Cell Permicav insulation has a patented closed cell foam core. It has highly reflective foil faces on both sides and is pierced with tiny perforations allowing for water vapour permeance. Kingspan Air Cell Permicav insulation helps achieve a 6-star energy rating whilst also drastically reducing the risk of moisture and condensation build up. 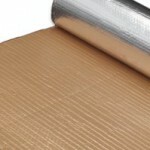 Kingspan Air Cell Permifloor insulation is one of the best products for underfloor insulation, for both new and existing homes. Kingspan Air Cell Permifloor insulation is specifically designed for suspended framed floors providing both an insulation and moisture solution for your floor. 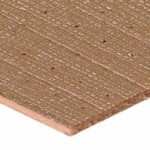 Kingspan Air Cell Permifloor insulation has a patented closed cell foam core. It has highly reflective foil faces on both sides and tiny perforations allowing for water vapour permeance. The perforations can prevent moisture build up that often takes place under flooring with other, non-breathable underfloor insulation products. Kingspan Air Cell Permishield insulation is a vapour-permeable barrier and insulation product all in one. Kingspan Air Cell Permishield insulation is designed primarily for steel framed walls and used behind lightweight cladding. It has a patented closed cell foam core, highly reflective foil faces on both sides and tiny perforations for breathing. In many cases, Kingspan Air Cell Permishield insulation can be an alternative to the traditional sarking and batts combination as it achieves thermal compliance as well as providing vapour permeance. 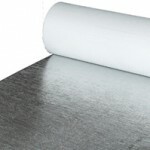 Kingspan Air Cell Retroshield insulation has a unique anti-tear reflective surface which serves as both a vapour barrier as well as a high performance insulation. Most importantly, Kingspan Air Cell Retroshield insulation is non-irritant and non-allergenic, and does not possess any of the health and safety concerns associated with most bulk insulation products.